Liz Atkins is heading to Spruce Meadows with her grand prix mount, Undine. Hampshire, IL – June 22, 2018 – Liz Atkins of Benchmark Stables in Hampshire, Illinois, spent quality time in the tack the last two weeks at Showplace Spring Spectacular at Balmoral Park with her clients to prepare for her next road trip. 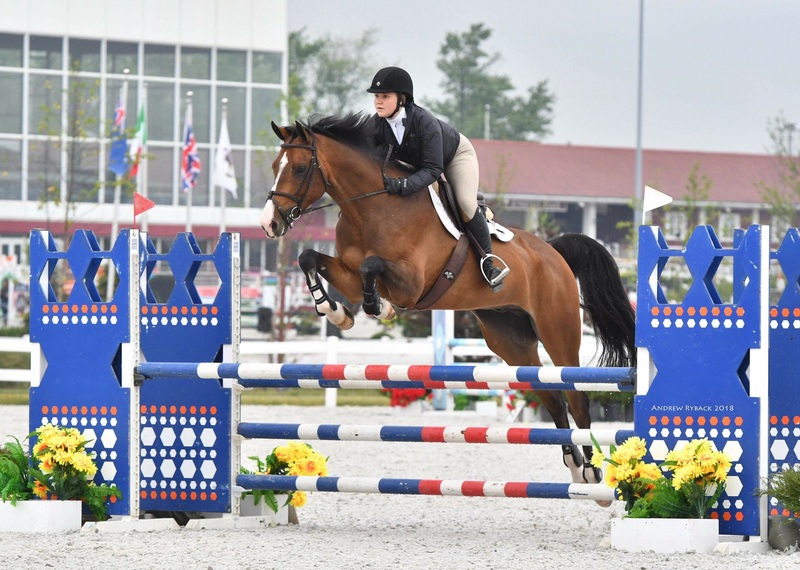 After finishing the USHJA International Derby this past Tuesday, Atkins gave her horses a few days off before heading to Spruce Meadows in Calgary, Canada for the first time for the North American and Pan American Tournaments. Atkins will take her grand prix mounts, Undine and Rodeo VDL. Liz Atkins and Rodeo VDL. Rodeo VDL is a 10-year-old Dutch Warmblood (Wittiner VDL x Lorena), whom Atkins rode to win the $25,000 Beau Rivage Grand Prix and the Open Welcome during the Gulf Coat Winter Finale VI. The pair also earned top finishes at the World Equestrian Center in April, including second place in the $5,000 Welcome Stake. Undine is a Holsteiner mare (Ocean I x Atlanta) with top grand prix and welcome stake finishes all winter as well. 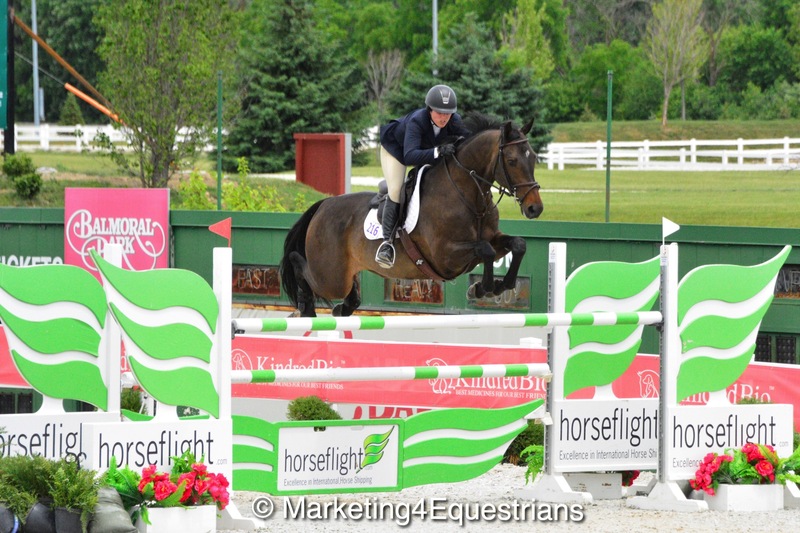 Liz Atkins and Niro 8 in the $25,000 USHJA International Hunter Derby. Atkins and Undine placed 5th in the $5,000 Open Welcome at Showplace Spring Spectacular I and Rodeo VDL finished 8th in the $10,000 Kindred Bio Open Prix. 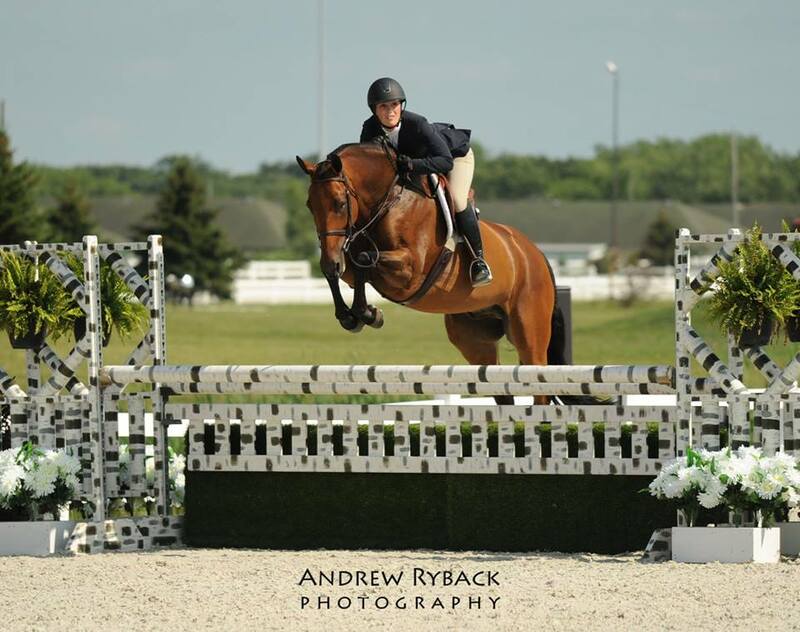 Atkins also took 4th in the National Hunter Derby with her stallion Niro 8, who is new to the hunter rings. 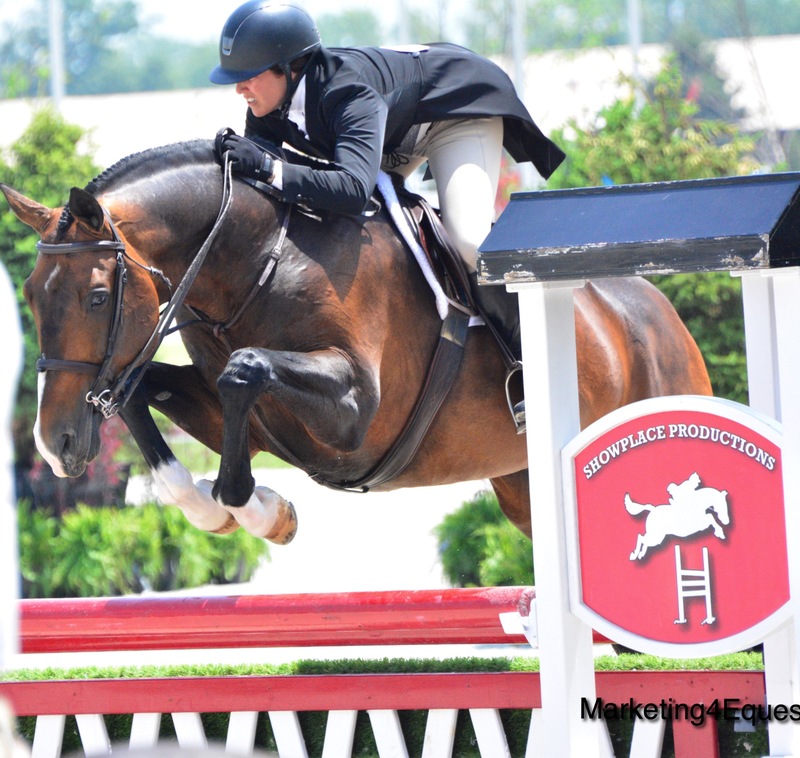 She stepped up to the $25,000 USHJA International Derby during week III to finish in the top 12. Samantha Wagner and L'toile - Champion Low Amateur Owner Jumpers. 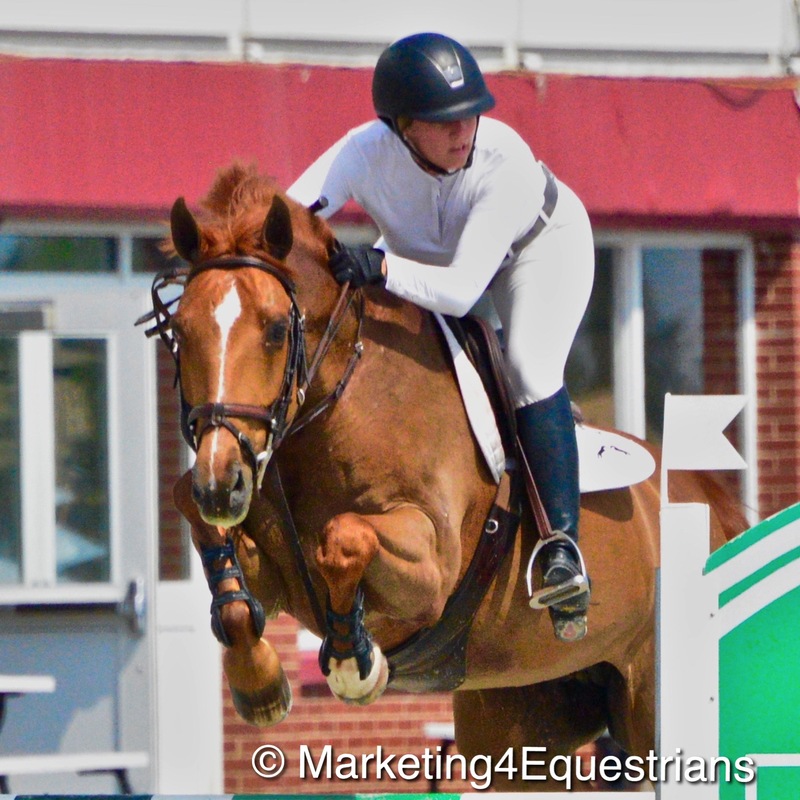 Client Samantha Wagner rode her way to the championship in the Low Amateur Owner Jumpers with her L’Etoile. Leslie Quillen and Timeless - Champion Adult Hunters. Lesley Quillen and Timeless took home the championship in the Adult Hunters while Emilie Fruin and Claymont earned the Reserve Championship in the 1.0m Jumpers. After returning from Calgary, Atkins and her customers will show at Traverse City, Lamplight Equestrian Center in Elgin, Illinois, St. Louis and Kentucky in September.